Doctor Who - HEAVEN SENT Spoiler-Filled Review | Warped Factor - Words in the Key of Geek. Heavenly or Hellish, asks Tony Fyler. A custom-built puzzle-box trying to scare the Doctor to death. In itself, as he acknowledges, that has all the makings of Christmas for our favourite Time Lord, rather than the grim, dark horror we were promised. Ultimately, did Heaven Sent deliver on its promised darkness? Well, we saw the Doctor wounded, bleeding, and ultimately, we saw him die a whole hell of a lot, so you could argue that it did. In terms of an emotional response though, it’s probably going to be one of those ‘straight down the middle’ episodes – some loving it, some hating it. Let’s take a look and see if there’s a judgment call to be made. Well, it’s Peter Capaldi pretty much undisturbed, talking to himself for the whole of the episode. There are no losers on that score alone. 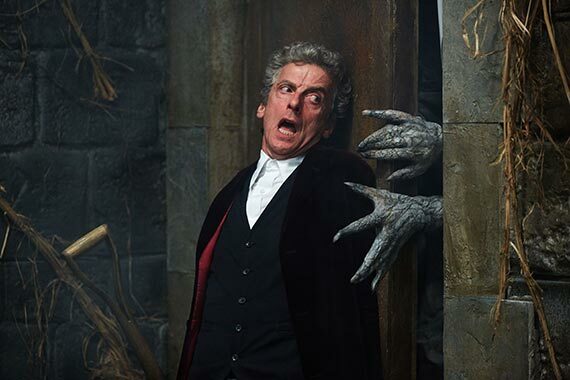 So – big tick on the Capaldi screen time. 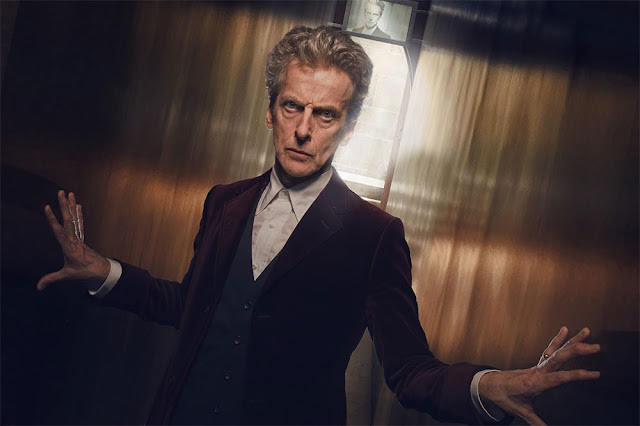 Big tick also on what it allows Moffat and Capaldi to deliver – an unprecedented look into the Doctor’s mind, a kind of expansion of the logic puzzle Missy gave Clara in Episode 2 of this series, looking at how the Doctor always survives. Sherlock has his mind palace, the Doctor, fittingly enough, has his ‘mind Tardis’ where he works out all the important things he needs to know to survive, thinking very very fast and so slowing down his own perception of events. That’s a very interesting insight, and one that you just know you’re going to retrospectively apply to previous stories with other Doctors. Guaranteed, you’ll go looking for ‘mind Tardis’ moments in other stories, and guaranteed, you’ll find them. Also, the role of the companion in not only his external psychology but his internal psychology was brought strongly to the front and centre. Truly, in terms of peeking behind the – ahem – veil of the Doctor’s mystique, and increasing our understanding of our hero’s mental make-up, this was a special episode. As a set-up in and of itself, the castle was an effectively disturbing combination of elements, like Saw, Hellraiser and Harry Potter – endless puzzles, in a self-resetting puzzle box, where not only staircases, but whole floors move. The idea of being pursued by the Veil was creepy enough, and commendably, we got a reason why it took the form it did – the story of the Doctor’s youth, and the dead old lady covered in flies. The incidental scares were at least OK, but the greater terror in the episode was actually conceptual, the idea of Hell for a Time Lord, the idea of being forced to either give up something you absolutely can’t give up – your secrets – or be forced to repeat the same actions time after time for cosmological ages, a mouse on a never-ending wheel of pain and mourning. All of that was pretty effective, and gave a solid lurch of dread about how exactly the episode would ever come to an end. Arguably the meandering – unavoidably in a story where the same actions are repeated time and time again, there’s a sense of re-treading that develops. There’s also something languid about a more psychological horror story, which this was, that leads to what can feel like dead air – shots of walking up or down staircases or corridors, a thing that was particularly noticeable in this (for the most part) single-hander, when there was no-one to ask ‘What’s going on, Doctor?’ except the Doctor himself. Also, you could argue that the fact that the horror was conceptual much more than it was present or visual gave the story a lack of any of the real scares that make for behind-the-sofa watching. The Veil’s occasional Carrie act, mad hands thrust here and there, didn’t really work to deliver the shocks it aimed at, because the nature of the Veil, and therefore its motivation for suddenly thrusting hands at the Doctor, remained mysterious, making the gesture feel empty. The story could be said to deliver only limited rewatch potential, because once you know the secret behind its intricacies, it loses much of its point. That said, watched for the first time, it delivers a very effective puzzle, a kind of Da Vinci Code of complex timey-wimey punishment that has a multi-layered elegance, with a powerful payoff. Powerful because of its potential meaning. Viewed with retrospect, what are we to make of the Doctor’s plan – to go through the same actions every day for billions of years, punching the impenetrable block just a handful of times before effectively dying, rather than revealing what he knows about the Hybrid. More than plain stubbornness, perhaps. There’s been a sense since at least The Girl Who Died that the Doctor feels he’s being watched, and the inference is that it’s the Time Lords who are watching. It’s unclear whether the two billion years of his suffering in the castle were actual time for the rest of the universe, of whether the Time Lords merely imprisoned him within the castle in the confession dial to suffer in subjective time for him, but relative time for the rest of the universe. If the Doctor is the Hybrid, and the Hybrid will stand in the ashes of Gallifrey, was the whole thing from the point at which he realized what the Veil needed from him a plan to get back to Gallifrey and come for those who would dare to judge him? The ending undoubtedly came as a surprise to some, though for others it will have felt inevitable – again, since The Girl Who Died, there’s been a sense that the Time Lords might well be on their way back into the universe of Who, so when the Doctor steps out onto the surface of Gallifrey it’s almost expected. 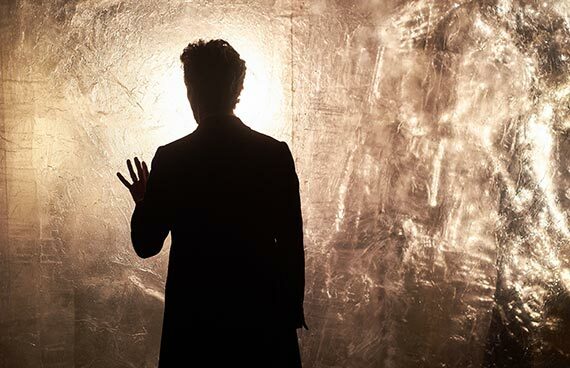 But the revelation of the Doctor as the Hybrid raises plenty of questions of its own. We know this series has seen the Doctor go beyond the laws of time, beyond his own usual moral rules. He’s meddled with the past and broken every normal rule, all to save Clara – and now he’s lost Clara anyway. You have to wonder about the Doctor at the end of his tether (and that being so, you have to ponder the idea of the Valeyard, all the Doctor’s darkest impulses made manifest – an idea perhaps especially encouraged by the idea that the Hybrid will stand in Gallifrey’s ashes, and now he’s coming home). There’s also of course the idea of Ashildr being in the finale, and the idea of the Hybrid being the product of two great warrior races – the internet is already filling up with conspiracy theories that Ashildr is the Doctor’s mother and that the great Paul McGann embarrassment (‘the Doctor is half human!’) might turn out to be something that’s unfortunately un-retconnable after all. On reflection, there’s more to enjoy in Heaven Sent than to rage about. Perhaps not much more, but more. It will probably go down in Who history as an interesting experiment, rather than a spectacular or a magnificent episode in its own right. But one thing’s for sure – with the questions raised by this episode, Hell Bent seems set to be a belter of a series finale.